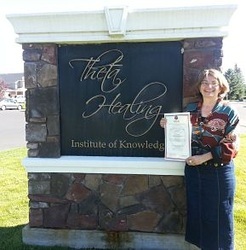 Marianne Karsh, B.Sc.F., M.Sc.F., is a certified ThetaHealing® practitioner, Master ThetaHealing® instructor and Certificate of Science. An author, scientist, world traveler and seminar leader, she has been featured in numerous articles and TV programs including Eye for the Future, The Globe and Mail, The Catholic New Times, Woman’s Television Network, CBC, and Salt and Light Television. Marianne is the founding director of Arborvitae, which is dedicated to teaching the physical, mental, emotional and spiritual benefits of connecting with the Earth. 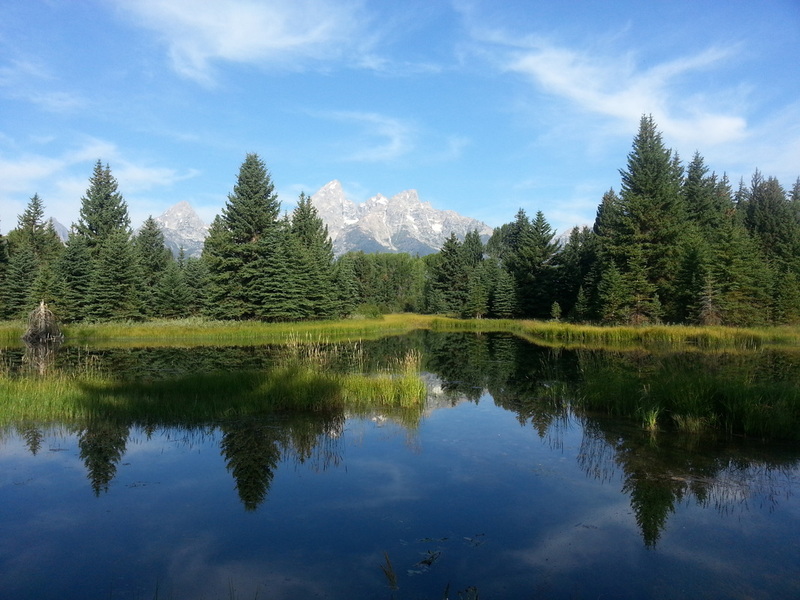 Since 1999, she has promoted Arborvitae’s mission of nurturing spirituality through nature (www.arborvitae.org) through retreat work, group facilitation, writing and speaking. With over 20 years of study in science and theology, Marianne has considerable experience as an invited speaker to various groups both nationally and internationally. She has overseen a number of initiatives combining ecological activism and justice and has written and collaborated on articles and book chapters addressing key issues in science, ecology and theology. 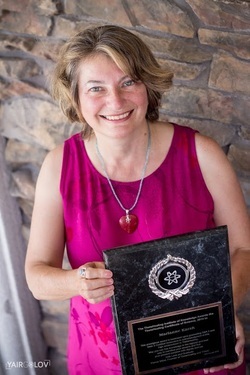 For six years, she served as Ecology Project Coordinator of the Ignatius Jesuit Centre of Guelph developing new programs in ecology and spirituality as well as leading retreats throughout Canada and internationally to religious organizations, churches, school boards and private organizations. After obtaining a Master's degree in forestry from the University of Toronto, Marianne has worked as a forest research scientist in Canada, The United States and Iceland. 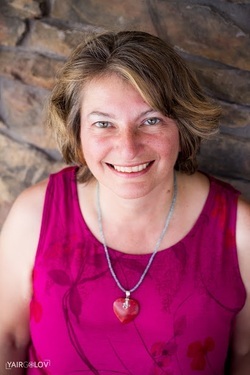 As a senior scientist for Environment Canada, specializing in biodiversity and climate change, she authored/co-authored numerous scientific publications, including a chapter in Climate Change, Biodiversity and Sustainability in the Americas: Impacts and Adaptations [Smithsonian Institution Scholarly Press] and Climate Change and Biodiversity: Implications for Monitoring, Science and Adaptive Planning [Environment Canada]. 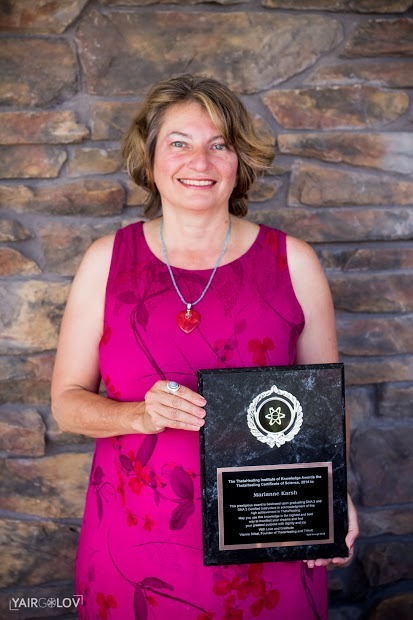 Marianne is available to lead programs in your community on nature and spirituality and ThetaHealing® and to participate in Earth healing events. 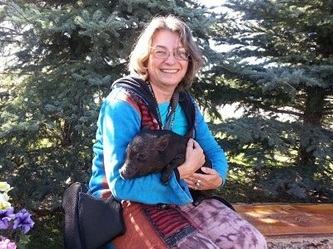 As well as offering retreats, workshops, talks, courses and camps through Arborvitae, she is adding new components of spiritual ecology, co-creative gardening, Thetahealing® for people, plants and animals, and guided meditations especially designed for sending love and healing to the Earth. Connect with Marianne on DaoCloud. I met Vianna Stibal at the Sivananda Ashram in the Bahamas in 2011. I was there when Vianna just happened to be teaching the Basic DNA ThetaHealing®. I have always been interested in healing and I signed up for the course. I loved it! For three months afterwards, I was consistently happy and my friends noticed changes in me. I was able to put the practices in use for myself right away and sent every thought not in my highest and best to Creator. I used the ThetaHealing® meditation to the Seventh Plane of Existence right away with groups of teens, adults, individuals and they loved it. 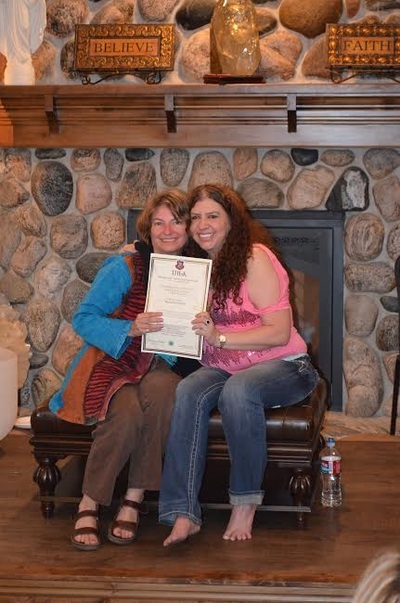 Since then I’ve taken ThetaHealing® practitioner courses with Ellen Cohen in Long Island, New York, and with Kathrine Williams in Peterborough, Ontario and ThetaHealing Instructors Courses with Vianna Stibal in Idaho Falls, Idaho as well as Montana and Mexico. I’ve had the privilege to facilitate ThetaHealing® with friends, family, other ThetaHealing® practitioners and my cats, Essa and Lynn. I deeply appreciate all the ThetaHealing® techniques and have gained so much from them. I look forward to growing in joy, love, abundance and service to the Earth and Creator. ﻿﻿Instead of just wishing or telling yourself you're going to overcome illness, get healthier or realize your personal goals, why not resolve to do something that will actually unlock your potential and give you the power to accomplish whatever you seek in mind, body and spirit? If this resonates with you - not only in the coming year but for the rest of your life – consider taking the ThetaHealing® courses or signing up for a session. Upcoming Courses in Newmarket, Ontario. Thank you so much for an amazing healing. Being able to release so much pain, anger, regret and trauma from my childhood abuse was such a gift. I never knew there was so much there until we did all the muscle testing. It was amazing! Thank you for giving me the chance to re-connect with that inner child and see how strong and brave she was and helping me see… that was ME. Thank you for showing me it’s safe to forgive and love not only myself, but others as well. Also for showing me it’s safe to accept myself for who I am and to also accept that inner child as part of ME. I am now able to accept ALL of me. You are an amazing healer. Marianne combines her extensive and impressive credentials in the scientific community with her devotion to the Creator and all the ’Creatures of the Kingdom’ to create a unique and special learning experience. 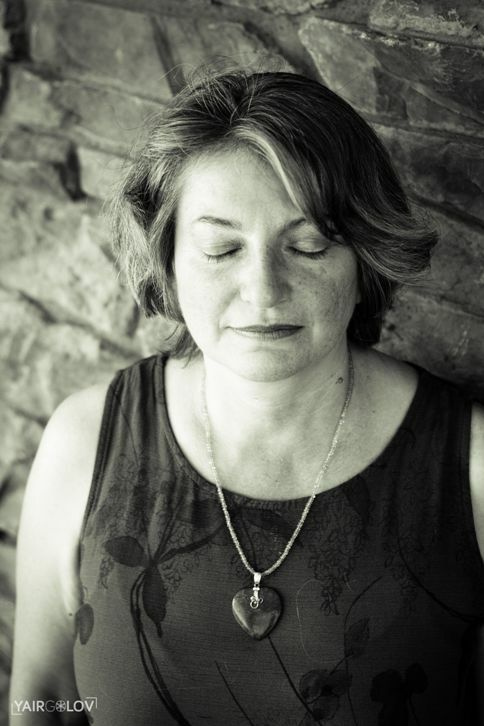 Marianne has applied her Masters degree from University of Toronto in Forestry and Biodiversity and lifelong dedication to a ‘sustainable planet’ and her profound spiritual connection to Creator to bring together science and spirituality in a deeply meaningful way. Marianne is genetically hard-wired to have an affinity with our natural environment. Her father Malak, preeminent Canadian photographer and Order of Canada recipient spent his life photographing landscape portraits, particularly in Ottawa. 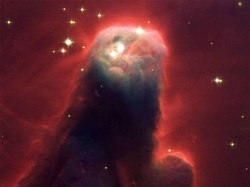 He joked that his “Paper and Politics” which appeared on the back of the one dollar bill was the most published picture in the world.” Marianne carries on the legacy of her father as she connects you to the second and third plane through the lens of the Creator of All That Is. You will meet Shirley, the teaching tree, Amber the cat, (Marianne’s spirit guide) as well as many others as you learn to communicate with plants and animals in a way you never dreamed possible! Come to Marianne’s Plant & Animal classes and be guided to open your eyes and your hearts so that you too can see. "Marianne is a very gentle and wonderful person with a huge heart and at the same time with an incredible strength. I always felt really comfortable to open myself and I always felt I can trust her. Her readings and body scans are very clear and giving so many advices and hints where (in the body/past life etc) and what to heal. She has a real gift for healing and in combination with her knowledge the treatments with Marianne are amazing and they change you immediately, you feel relieved and free of "stuff" which had blocked you all your life. Not just her readings, but also her digging and belief work is so profound that we found deep blocks and believes which hindered me for a long time. Marianne has an amazing understanding for the problems you can have. I am very grateful that I have met and found her as a ThetaHealer. I am looking forward to many more sessions, to heal and to learn about my self. Thank you very much. With love and Gratitude, Petra, ThetaHealer"
I wanted to write you a note of thanks for the absolute transformations that your Theta Healing sessions have created for me. Your compassionate, gentle nature always provides a safe space for truly opening up [which is something I found almost impossible to do for most of my life]. Thank you for bringing light to my shadows, and helping me to believe that all is possible. The process/meditation you guided me through in our last session is something I will always treasure. Thanking you with all of my heart for the blessing that you are, and for all the blessings you have brought into my life!